Midsummer … the woodland theatre at Kilruddery House’s 17th Century gardens. Could there be a more perfect setting for Shakespeare’s A Midsummer Night’s Dream? A light drizzle filtered through the woodland canopy and midges snacked on our ears as Titania and Oberon squabbled and Puck ran amok with a magic potion. There was a smell of crushed grass and wet bark, mothballs and old attics as folk opened proper, wood-wormy, leather-strapped wicker baskets, quietly popped bubbly, or unscrewed interesting-looking/smelling/tasting flasks and jars. On that eerie, enchanted patch of damp grass, people shared… quietly… so as not to break the spell. 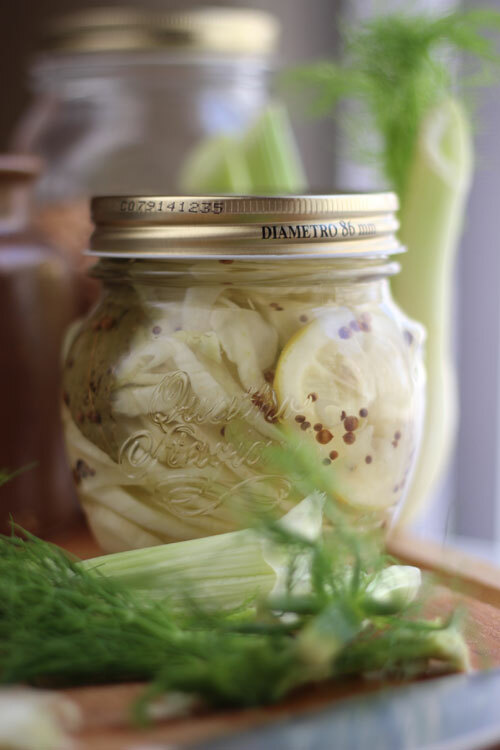 One jar that went home empty was a delicious fennel pickle. Sorry Shakespeare, it stole the show. While I’m not the world’s greatest fan of either pickles or fennel, I can eat this fragrant crunchy pickle straight from the jar. It goes wonderfully with smoked mackerel pâté, white or oily fish­, and it has been the secret ingredient to lift a potato salad out of the ordinary. 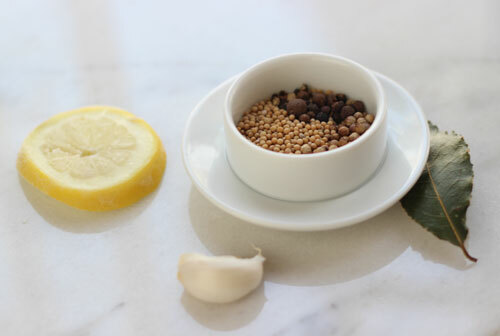 Place the peppercorns, mustard seeds and coriander seeds in a dry medium saucepan over a medium heat. When the seeds begin to pop add the rest of the ingredients. Simmer until the sugar and salt have dissolved. Carefully pour the hot liquid over the contents of the jar until everything is submerged. Poke with a skewer or chopstick to remove any bubbles of air that have become trapped before topping up the liquid if necessary. You’ll have a bit of the pickling liquid left over. 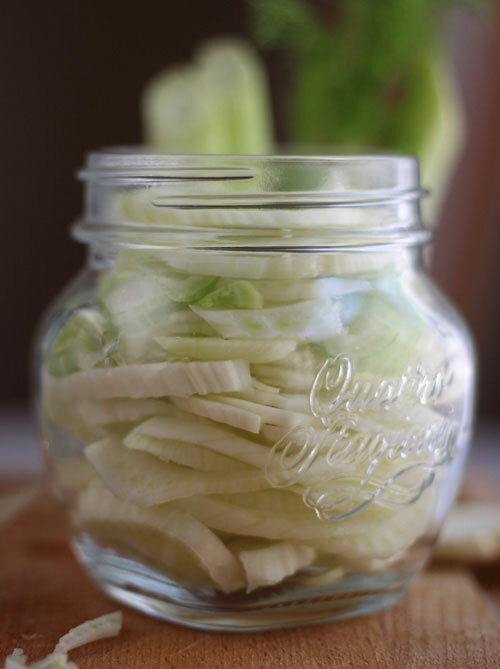 Keep it in a non-reactive container and use it to make quick cucumber pickles. I usually leave the pickle in the fridge for at least three days before using to allow the flavours to develop (Alchemy...) and it will keep for up to a month, covered and refrigerated. Your description of the picnic sounds wonderful just as does your pickled fennel. 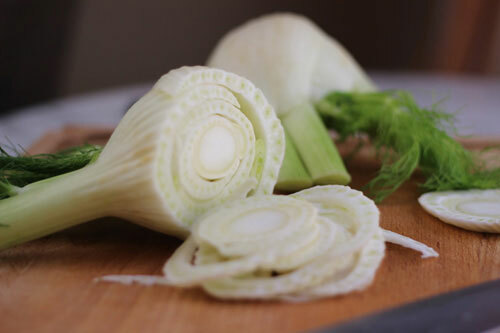 I love fennel and can't wait to try your recipe. 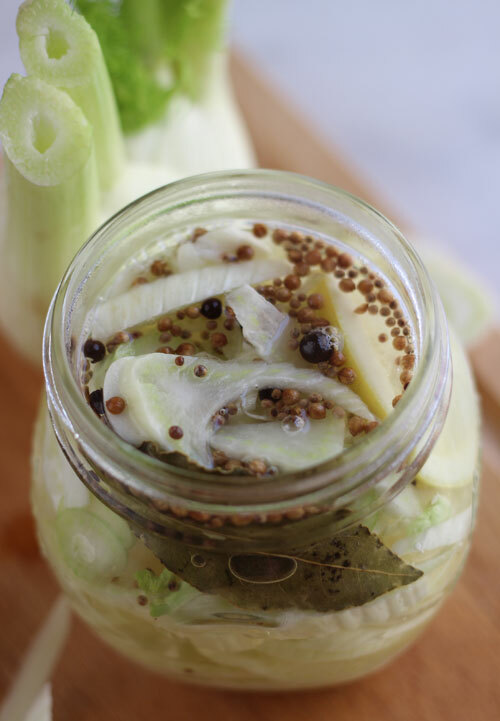 Can you believe that I have never had pickled fennel? Now I am totally intrigued with it. Hopefully I can give this a try soon! 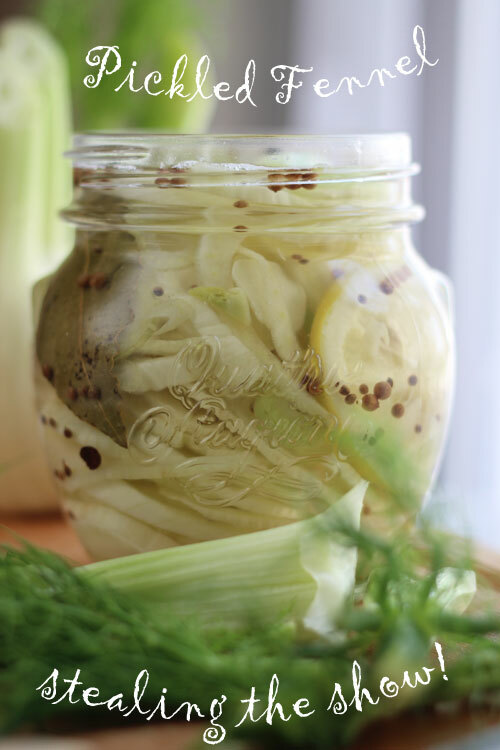 I've never had pickled fennel before, but I've seen it being used a lot lately. Definitely need to give this a try! This recipe is completely timely. I've been wanting to try my hand at pickling, but wasn't keen on pickles. 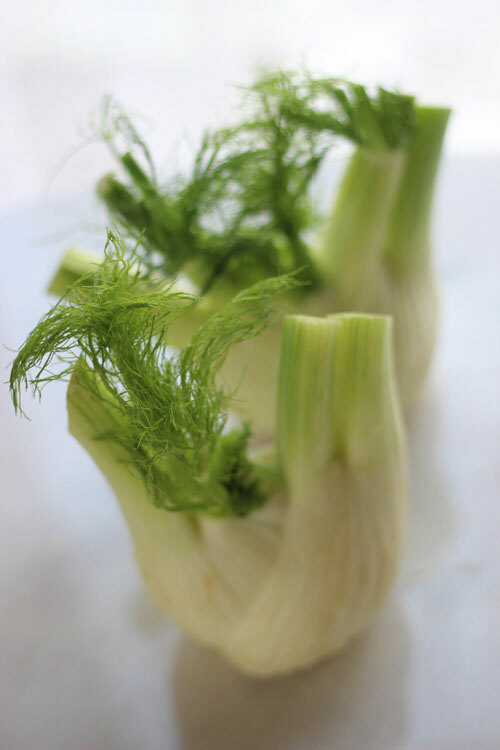 I love the idea of pickling fennel though! I am joining the group as I have not had pickled fennel either but I know already that I would've looking at your ingredient list. Fresh and crunchy and so perfect with fish too. Pinned!